NGBS HERS, RESNET, ENERGY STAR, Built Green, and EPS scores. 3rd Party Certification for Single and Multi-Family Homes in Oregon (Portland metro) and Washington (Tacoma, Olympia, and Vancouver). We can help with all your Energy Efficiency Requirements. Assistance with ENERGY STAR, RESNET HERS, EPS, Net Zero, NGBS, WA State Evergreen Sustainable Development Standard, and DOE Builders Challenge. Call us today 360-624-5523 to schedule your duct-test, blower door test, and energy efficiency inspection report. 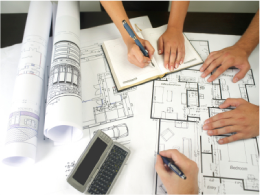 As a qualified energy consultant, we can advise you on upcoming code changes and provide assistance with code compliance. 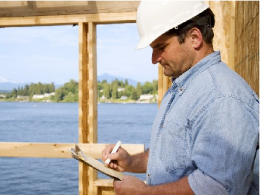 There are several important changes in local building codes that you need to be aware of. We can help get you up to speed on the requirements as well as help you get the certifications you need. The Washington State Department of Community, Trade and Economic Development created the Evergreen Sustainable Development Standard, a set of green building criteria that is required for any affordable housing project applying for state funds through the Washington State Housing Trust Fund. The standard is based on a system that awards points for a variety of sustainable building practices, including site locations and neighborhood planning; water conservation; energy efficiency; the incorporation of renewable technologies; improved indoor-air quality; and environmentally conscious construction practices and building materials.